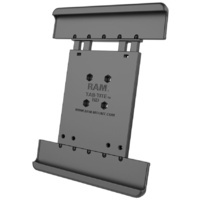 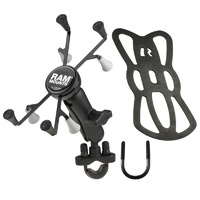 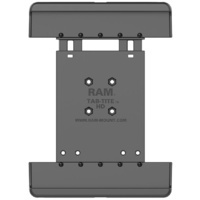 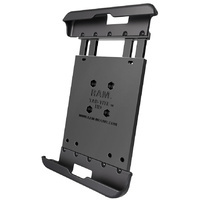 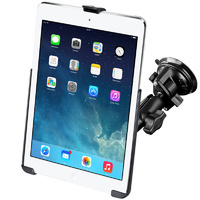 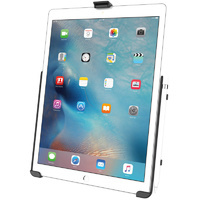 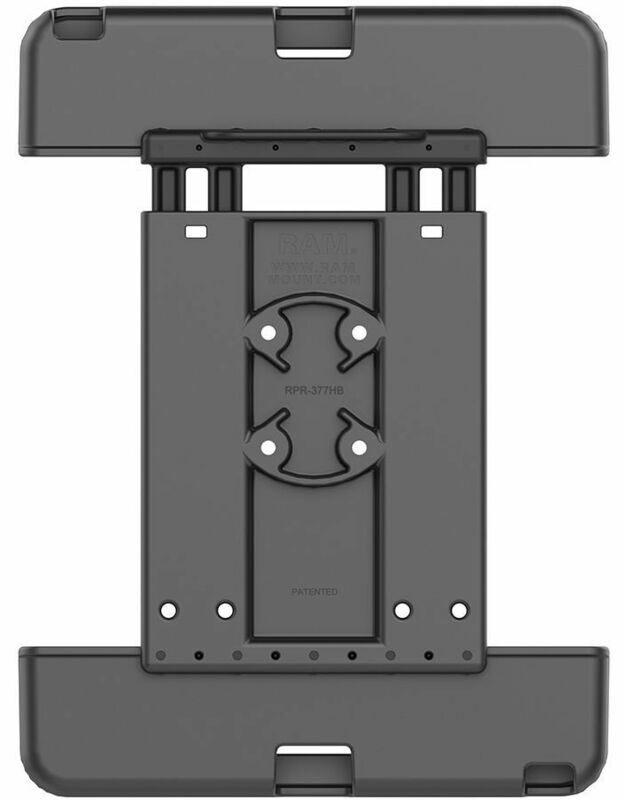 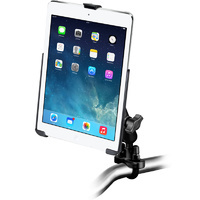 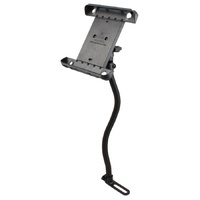 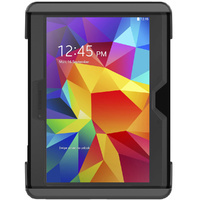 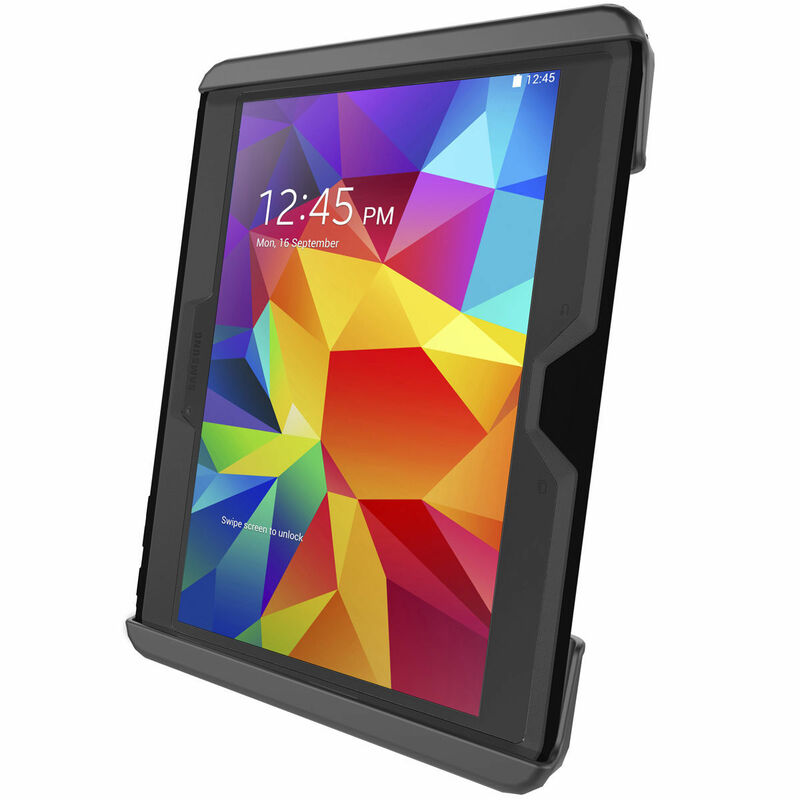 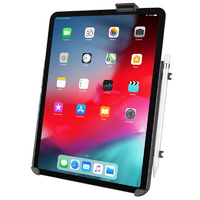 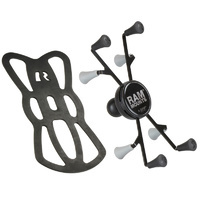 RAM Mount Tab-Tite Cradle for 10" Tablets and Samsung Galaxy Tab 4 10.1 and Tab S 10.5"
The cup ends are designed specifically for the Samsung Galaxy Tab 4 10.1 and Tab S 10.5. 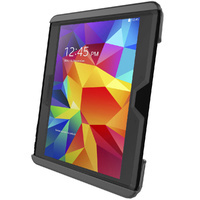 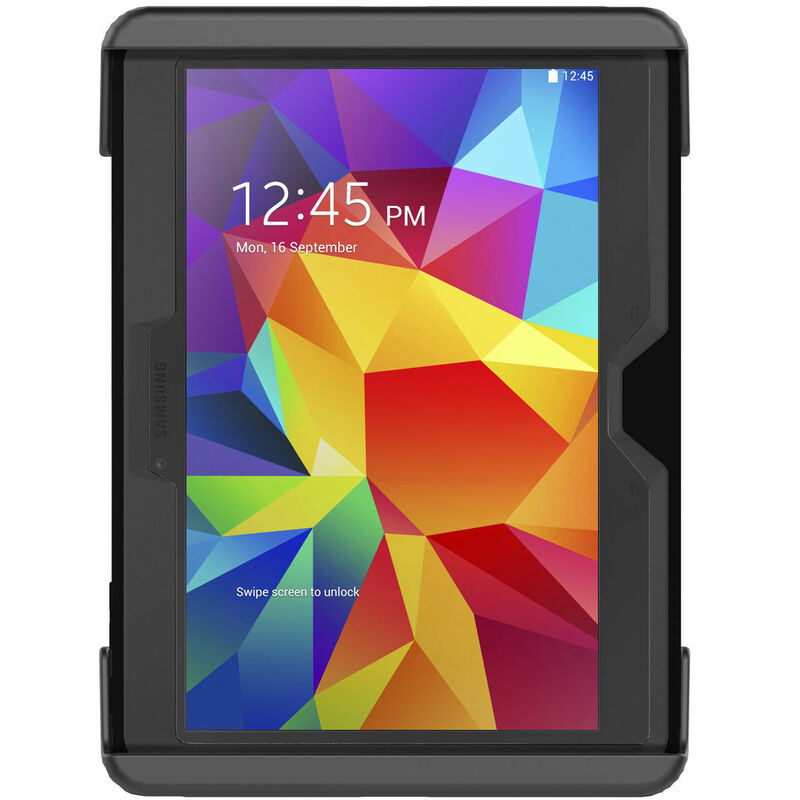 The spring loaded design makes it easy to insert and remove your tablet. 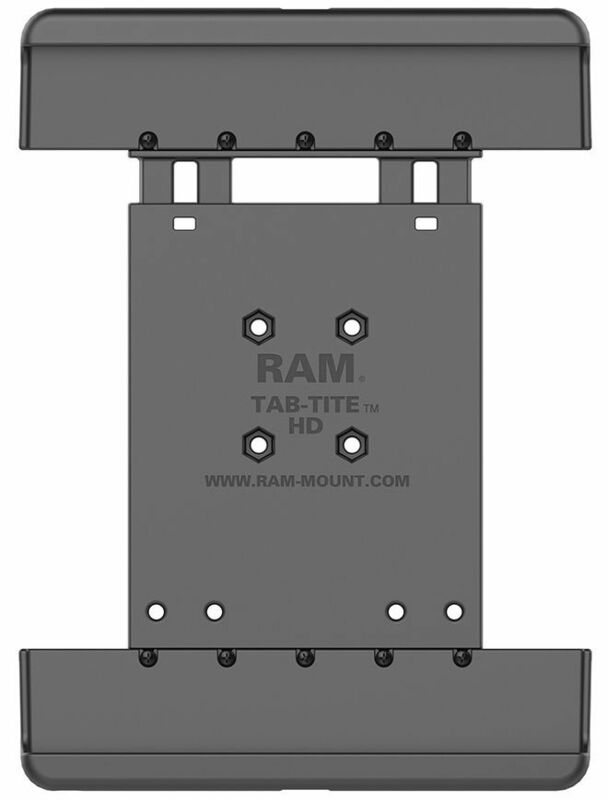 Every Tablet has different dimensions it is important to measure carefully against the Cradle dimensions below to ensure your device will fit. 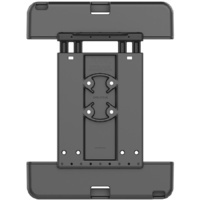 * Any device/s shown in image/s is for illustration purposes ONLY and is not included in the purchase.